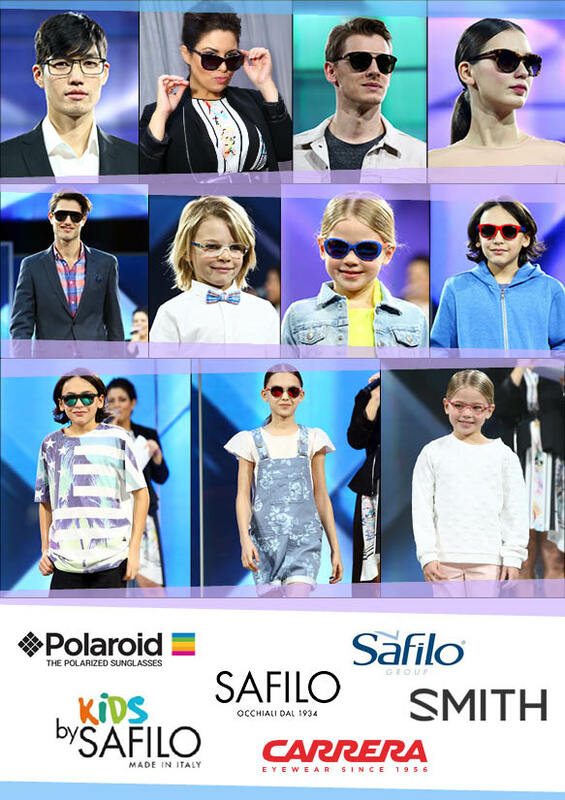 In light of the first few days of spring, Safilo Group hosted a fabulous fashion show last week at International Vision Expo East, a.k.a. the complete eyecare event where hundreds of exhibitors gather to experience all the industry has to offer! Emceed by the amazing Bobbie Thomas—mommy-to-be, style editor of NBC’s “TODAY” and author of the best-selling book The Power of Style: Everything You Need to Know Before You Get Dressed Tomorrow—the spexy soiree featured models flaunting fresh glasses ‘n’ sunnies of the season from Safilo Group’s very own brands: Carrera, Kids by Safilo, Polaroid, Polaroid Kids, Safilo and Smith. For grown-ups, classic silhouettes with a twist, minimal detailing and a neutral palette ran the gamut. Meanwhile, everything from bright colors and flash lenses, to glossy finishes and trendy profiles made tiny were all the rage when it came to frames for the youngsters. Take a looksie at the top styles spotted on the runway below.